Rowland O'Connor: And We're Back! It's been a while since my last blog post to say the least. My old blog went offline in 2011. Why? Good question! To cut a very long story short(er), here's what happened. My domain (rowlandoconnor.com) was up for renewal. The renewal fee at the time was a little higher than fees available elsewhere so my "master plan" to save a few pound notes was to let the domain lapse in the old domain registration service and then renew in the new, cheaper registrar. What could possibly go wrong? Within minutes of the domain lapsing and coming up for public availability, someone else registered it! I had not anticipated the speed at which this could take place. I'm guessing that some automated process must have registered the domain. The effect of this was that my domain was pulled out from under my feet and in the hands of a new owner. There was nothing I could do. Very frustrating! The new owner of rowlandoconnor.com put up a single page site with some paid listings presumably hoping to make a few bucks from the organic traffic to my old blog. I guess that this would have made a some small change initially until search engines caught up and de-indexed all of my old content and the organic traffic would have dried up. At the time, I did consider contacting the new owner but decided against it as I suspected that a buy back arrangement would probably have been expensive. Instead, I decided to say nothing and simply wait it out to see what happens. Unsurprisingly, with an inevitable combination of dwindling click revenues and no offer to buy back the domain, the new owner decided to let the domain lapse again as it was probably unprofitable to pay the domain renewal fees. So, what's my learning experience from this story? Firstly, I don't blame the person or system that popped up and registered the domain and took it from under my nose. I took my eye off the ball and allowed it to happen. What I didn't know at the time (but do now) is that there are automated systems trawling domains up for renewal. It's important to keep your renewals going even if you don't intend to stay with your existing domain registrar. For me, what happened was not too serious - just some lost content on SCUBA and other random thoughts at the time. 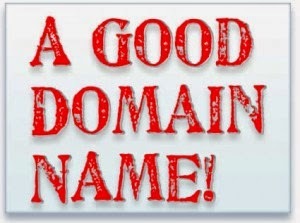 It could have been a very different story if the domain were business critical (e.g. making a living from it). It's good to be back..